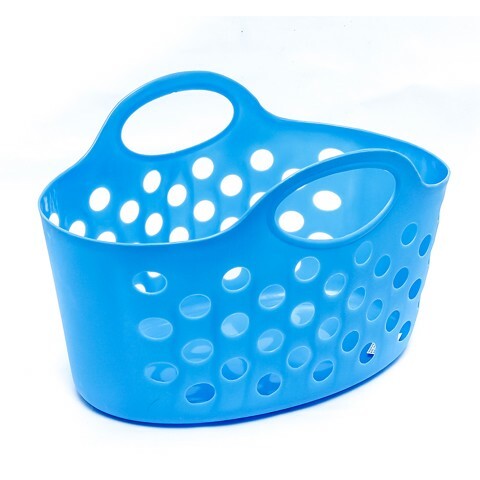 Basket Flexi Carry 3Asst. 27 x 17 x 19cm. Blue | Pink | Green. LDPE Plastic. 138G Packaging: Bulk Pack.